If I were inclined to believe anything Nancy Pelosi says, I would draw the conclusion that Judge Brett Kavanaugh is the most powerful man in the country. And also one of the most nasty. With comments made this summer, Pelosi would have us believe that Kavanaugh will upend the entire fabric of the nation, imposing on us the very worst that mankind has to offer on a panoply of issues. Planned Parenthood joined in the apocalyptic declarations, saying that “what’s left of our health care” could disappear if Judge Kavanaugh is confirmed to the Supreme Court. They apparently believe he will be able to do it all by himself– all he needs is to get on the Supreme Court. 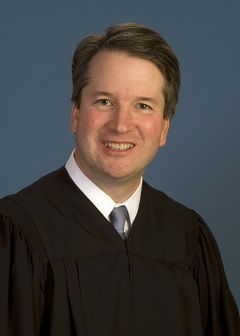 What you are likely not hearing is that Judge Kavanaugh is recognized as a brilliant judge, a man of integrity and outstanding qualifications. Nancy Pelosi and Chuck Schumer, along with NARAL, EMILY’s List, Planned Parenthood, and many others don’t like Brett Kavanaugh because they know he will apply the actual words of the Constitution, and will not abuse his judicial power to strike down laws passed by the people’s representatives. Tens of millions of dollars are being spent by pro-abortion, liberal groups to convince senators to vote against Judge Kavanaugh. They are encouraging office visits and phone calls by constituents to urge a ‘no” vote. Your senators may be liberal Democrats and you are sure they will vote against the confirmation of Judge Kavanaugh—they still need to hear from you. Some face a very close election this fall and need to know that they oppose Kavanaugh at their own peril. The senators need to know their constituents support Kavanaugh. Your senators may be conservative Republicans and you are sure they will vote for him—they still need to hear from you. They need that reinforcement and support. Call the Capitol switchboard at 202-224-3121 and ask for your senator’s office. Tell him/her to SUPPORT JUDGE KAVANAUGH.